Manitoba is the easternmost of the three Prairie Provinces. Comparatively level, Manitoba generally ranges from 490-ft./150 m to 980-ft./300 m above sea level. Baldy Mountain is Manitoba's highest point, at 2727 ft./831 m. Agricultural land lies in a triangle, bordering Saskatchewan and the U.S., cutting diagonally across lake Winnipeg. The northern 3/5 of Manitoba is Precambrian Shield. In northernmost Manitoba lies tundra and permafrost (permanently frozen subsoil). All waters in Manitoba flow to Hudson Bay. Before settlement, a large area of southern Manitoba was flood plain or swamp. An extensive system of drainage ditches had to be constructed throughout south central Manitoba to make the region suitable for cultivation. The land of 100,000 lakes. Fruits grow wild and abuntant in Manitoba's rich soil and hot summers making it possible to produce quality fruit wines. Warm, sunny summers and cold bright winters characterize Manitoba's climate. Afternoon temperatures in July and August Average 25ºC with midwinter daytime readings almost always remaining well below freezing. Wide variations from average values are common in all seasons. More than half of the annual precipitation falls in the summer months in the form of brief heavy showers. Most of southern Manitoba receives 110-140 cm of snow annually with the heaviest snow falls occurring in the northeast, in the Duck and Riding Mountains. (160 cm). . It is possible to grow grapes in Manitoba and on the prairies using varieties breed for Northern climates. Many of the newer hardy varieties have a number of good characteristics for fresh eating and wine making. Many of the hardy varieties were developed at the University of Minnesota wine grape research program. Their winemaker researchers evaluate hundreds of wines produced from experimental grape varieties each year in order to identify hybrids with superior wine quality potential and to develop styles of wine unique to Minnesota. The program also supports the rapidly expanding grape and wine industry in Minnesota through teaching and extension activities. There maybe a grape grower Tobacco Creek Vineyards in Manitoba, Canada. Tom Menold, a Carman-area farmer who moved to Manitoba from Germany about 30 years ago grows the grapes here. We just can not find any information on them. Murray Dudgeon also grows grapes on his farm. Mostly experimental. 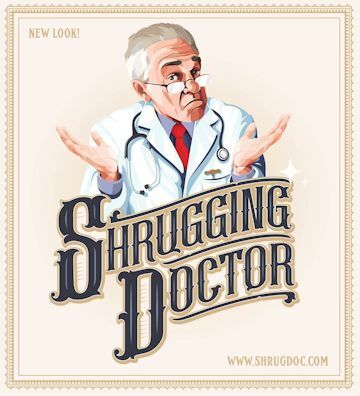 Shrugging Doctor Brewing Company was incorporated in April 2016 by two Winnipeggers; Zach Isaacs and Willows Christopher. They produce cider, mead and fruit wines. They are now producing wines from grapes. Releasing a White and a Rose both made from grapes grown in Manitoba. Vandal Cliche and Frontenac. 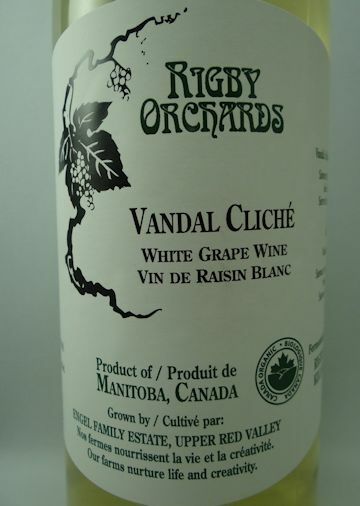 Rigby Orchards Estate Wine is processed from fresh berries grown on a 14-acre raspberry orchard northwest of Killarney, Manitoba. Planted in 1987 by farmer and entrepreneur Grant Rigby and his late father, Gerald, the family has been in agricultural production since 1882. Today the Rigby commercial fruit orchard is synonymous with their Rigby fruit juice nectar, as well as salad dressings and dessert toppings. 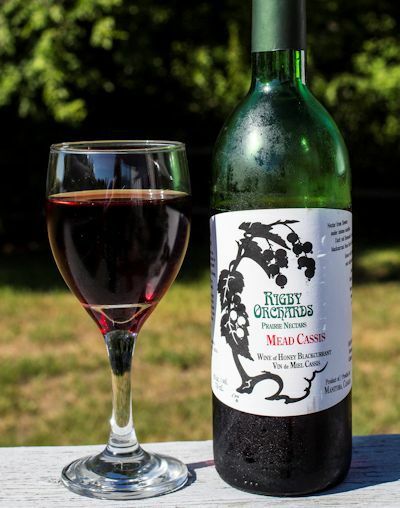 Rigby Orchards' latest offering, a pair of estate wines (dry and medium-sweet), may prove to be their best work yet. They were recently recognized by the Saskatchewan Food Processors Association as one of the five best new prairie-grown food products. They also bottle under the label Killarney wines. Their dessert wine was chosen to be served on a Royal visit . Appartenly they now produce grape wines.